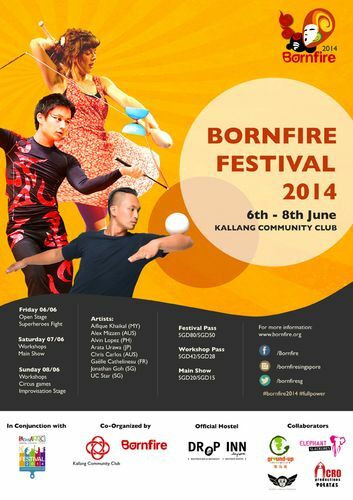 Gear up for some circus action fun in the Boon Keng heartlands with Bornfire Festival 2014 - ignited by the community - for the community. Happening right in Kallang Community Club from 6 to 8 June, exciting activities prevail from international performances to participatory workshops and kampong games. Participants will also get to co-create visual arts installations which will set the aesthetic scene of the festival. Get ready to meet a powerhouse of circus artists and enthusiasts and appreciate the beauty of circus arts!